Ahhhh, the good ole’ American Dream. A lovely wife, 2 kids, and to top it all off, a nice house in the suburbs with a white picket fence. In today’s post, we’re going to focus on the “nice house” part of the American Dream. Since the 2006 real estate downturn, savvy investors have been snapping up dirt cheap properties all over the place here in the States. Unfortunately, many of the bargain deals are gone, and American real estate prices have already gone up a bit in general. However, prices are still far below pre-2006 levels. Although bargain deals and undervalued investment property are becoming harder to find, they still do exist. 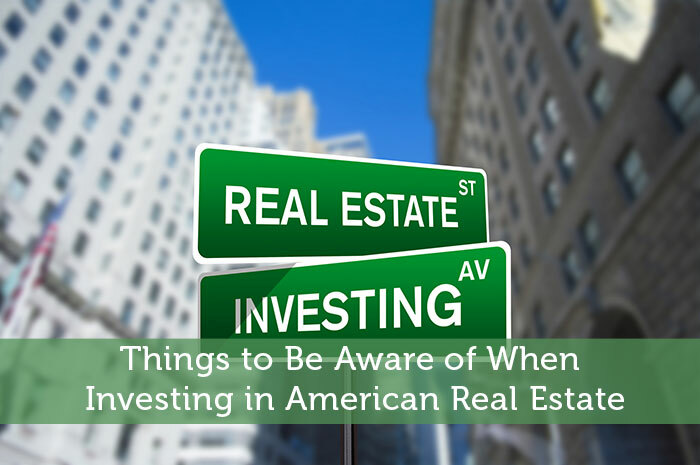 Thus, the careful investor with a scrutinous eye will still be able to pick out good deals on real estate. Note* In this post, I’ll mainly be looking at investment returns (capital gains) for real estate. I’m not discussing rental property. What do I mean by “leading indicator”? Real estate is the leader, while the rest of the economy is the follower. If real estate booms, then the economy will boom. If real estate busts (as we saw in 2006-2009), the economy will bust. This is not just true for America but for every single nation around the world. Here’s a more concrete example. More than 20 years, then Chinese President Deng Xiao Ping decided that the chief driver of Chinese growth (aside from manufacturing) would be a real estate boom. This is because if real estate goes up, many other industries will rise with it. Real estate heavily impacts the manufacturing, raw materials, and labor sectors of the economy (hence why it’s a leading indicator). Thus, a real estate boom will result in a manufacturing boom, more development for raw materials, and more jobs. Looking back, President Deng’s plan worked (the economy took off), but not without side effects (e.g. real estate bubble). Back to the U.S. What you have to realize is that unless real estate starts to pick up, the entire economy cannot pick up. This becomes a self-reinforcing cycle. If real estate prices stay flat or fall, the economy will cease to grow. If the economy ceases to grow, real estate will stay flat (people can’t afford second homes or bigger homes). Thus, when real estate prices start to pick up, that’s a sign that the upcoming real estate booms is just starting. The real fun (watching your net worth grow) has just started. Wait for the economy to start growing at a brisk pace, and the real estate boom will really take off. The worst thing about American real estate (and real estate in general) is that it’s an illiquid market. Illiquidity means that you cannot sell or buy whenever you want. When the market freezes and there ceases to be any buyers, you can’t sell your property. Real estate is unlike the stock market where you can buy or sell whatever stock you own within minutes. In order for a real estate deal to be concluded, months are wasted going back and forth between the lawyers and getting the deal all signed. Months! That’s why real estate is also a slower moving market. In terms of liquidity, whenever the real estate market faces a significant downturn, there ceases to be any buyers left. This is because when prices start to fall, many investors will think “if I wait, I can probably buy XYZ at an even cheaper price in the future”. This becomes another self-fullfilling prophecy; a lack of buyers who think prices will fall equates to prices actually falling even more. Similarly, homeowners (families waiting to trade up to a bigger house) will hold off real estate purchases when the economy turns south. This is understandable – who wants to make a major purchase when they don’t know if they’ll have a job next month? This lack of liquidity was evidenced in 2008 when many homeowners foreclosed their homes. Because there were virtually no buyers, based on traditional accounting standards banks had to report the value of their foreclosed homes as $0 (until the government stepped in and changed account standards). Real estate bottoms are very long. Because real estate is a slow moving market, it’s bottoms tend to be U-shaped, whereas for bottoms for stock markets tend to be quick and sharp (V-shaped). As an investor in real estate, you absolutely MUST sell your properties before the market peaks. Even if the market runs for another 10% or 20%, don’t regret your decision to sell. There’s no way to get out of real estate when the market faces a downturn (thanks to a lack of liquidity). Just because the markets have bottomed, don’t expect the real estate market to make a quick rebound. Bottoms are long and often last for years. Thus, for the investor who buys at the bottom, it’s probably best to use the property as a rental. Real estate prices in certain states fall and rise faster, whereas prices in other states will hardly fall. This all has to do with the fundamentals of the state. Florida’s real estate prices fall the fastest in a downturn but also rise the fastest when the economy booms. This is because Florida is a popular vacation hotspot where a lot of the real estate is owned by investors as opposed to families who live there. Whenever a state is mostly owned by investors hoping to make a quick buck, the state’s real estate bubble will inflate and deflate faster. Prices in California have hardly budged in the Great Recession thanks to a ton of rich Chinese home buyers snapping up property all over the place. In addition, a lot of wealth created from Silicon Valley results in rich and young high tech millionaires purchasing jaw-dropping mansions. Thanks for reading this guest post by Troy! He blogs at www.TheFinancialEconomist.com about finance, investing, and the economy. Hope to see you there! How has the real estate market been where you live? Would you invest in another state?